In August last year, Allwest launched a new equipment hire business in Canning Vale, in Perth’s south, with Genie machinery central to the new entity’s brand awareness strategy, growth and profitability. 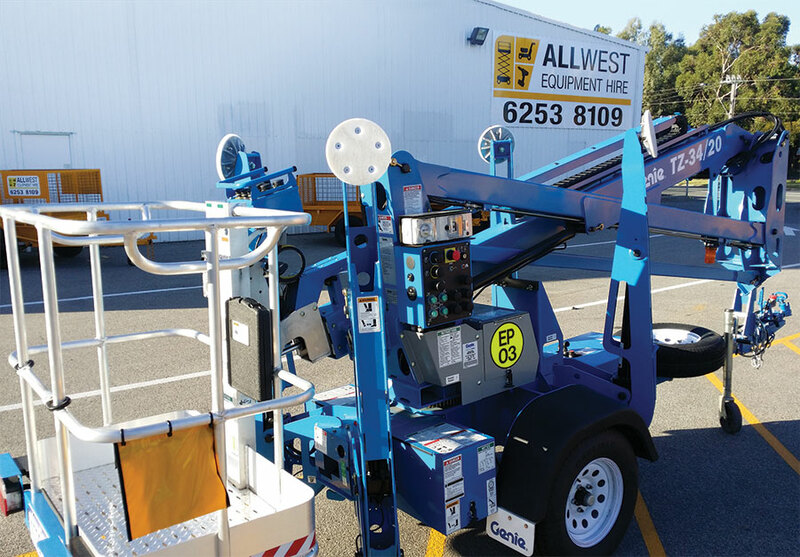 Allwest Equipment Hire has launched with a fleet that includes the Genie GS™-1932 scissor lift, GRC™-12 vertical lift, the Genie TZ™34/20 and TZ™-50. Moreover, Allwest Equipment Hire is already considering a fleet expansion. “The Genie trailer mounts have been good for us and our customers. As a consequence, we’re looking to add some taller scissor lifts for rough terrain work and articulated booms up to 50 feet,” said Jackson. Allwest Plant Hire’s machinery has been used on some of WA’s major infrastructure, mining and telecommunication projects, such as the laying of Telstra cable in remote locations and mine exploration sites operated by Rio Tinto, BHP, FMG, Gateway and Elizabeth Quay.